One bedrooms comfortable apartment close Rustaveli Avenue, Tbilisi, Georgia. 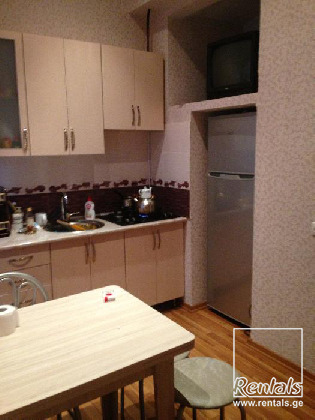 Apartment is located on a street Griboedova in Mtatsminda, close Metro (Subway) Rustaveli, front of Radisson Hotel. Apartment has one bed room, living room and kitchen, bathroom. Apartment has new maintenance, furniture and home appliances. In the apartment there are one double bed, wardrobes, table, sofa, chairs, central rooms heater, hot water, TV, refrigerator, cooker, washing machine. Bed linens and kitchen plates are provided.